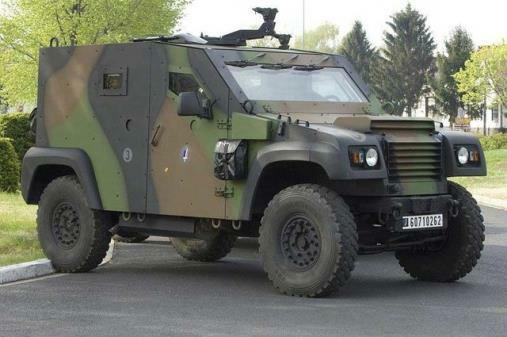 Announced in July 2012, the acquisition of Panhard General Defense by Renault Trucks Defense, a subsidiary of Volvo, took effect on 25 October 2012. The merger of the two manufacturers of armoured vehicles allows the Renault Trucks Defense group to widen its range in this sector. In this way, Panhard's expertise in light wheeled vehicles supplements RTD's in medium to heavy wheeled vehicles, and that of its subsidiary ACMAT in light vehicles such as the ALTV (light tactical vehicle). Panhard General Defense has two sites: Marolles en Hurepoix and Saint-Germain Laval (former site of Auverland). Hundreds of examples of the VBL (light armoured vehicle) and PVP (small protected vehicle) are sold in France and abroad. Article : La Tribune, Défense: Renault Truck Defense acquires Panhard, July 2012.